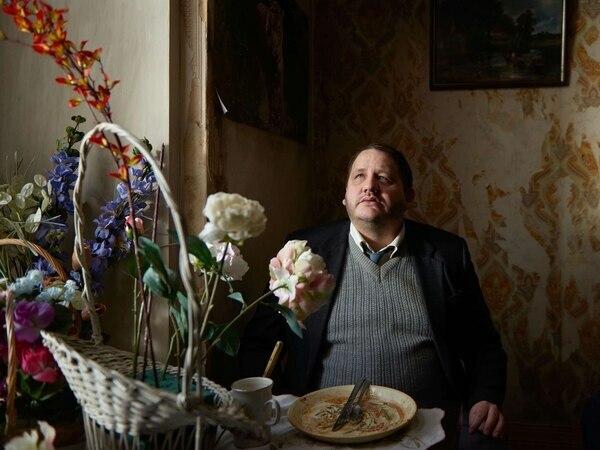 It's a stark and honest account of a family falling apart and film-maker Richard Billingham hopes his memories of a poverty-stricken upbringing in the Black Country will resonate with audiences. His feature film, Ray & Liz, which has been nominated for a Bafta, is a no holds barred look back at his troubled childhood. It tells the story of his family's spiralling problems including his late father Ray's battle with alcoholism. And it is incredibly personal for the first-time director as all of the action is how he remembered events taking place. "It's all lived experiences. I wrote and shot it from my memories, I didn't want to do it objectively from what I know happened, I wanted it to be how I remembered it. "I hope people will be moved and it makes them think a bit," explains 49-year-old Richard. Along with producer Jacqui Davies, he is in the running for the title of Outstanding Debut by a British Writer, Director or Producer and is keeping his fingers crossed ahead of the award ceremony on February 18. "If someone had told me it was going to happen during the shooting of the film, I would never have believed them. It's been overwhelming," he says. He grew up on Cradley Heath's Riddins Mount estate, first in a terraced house and then in a cramped, high-rise apartment block with his hard-drinking father Ray, chain-smoking mother Liz and his brother Jason, who was taken into care when he was 11. The film, which has three chapters, started life as a short-film called Ray which showed how, in 1990, alcohol made his father a prisoner in his own bedroom. "It's based on part of his life where he just sat in a room and drank, he didn't leave that room and he didn't eat anything. I wanted to make a short film on the tragedy of that situation," he explains. He then made another short film, set a decade or so earlier, when Jason - then three years old - is left alone with his hapless Uncle Lol. The lodger tricks Lol into drinking the stash of alcohol hidden in the house and neglecting Jason which ends with Liz violently punishing him upon her return. "I realised if I wrote another short film it would be feature film length so I wrote another one about my brother Jason," says Richard. The third part moves the film forward to the mid-80s when Jason, now 10 years old, goes out with a friend on Bonfire Night but can’t find his way home and ends up sleeping in a shed. 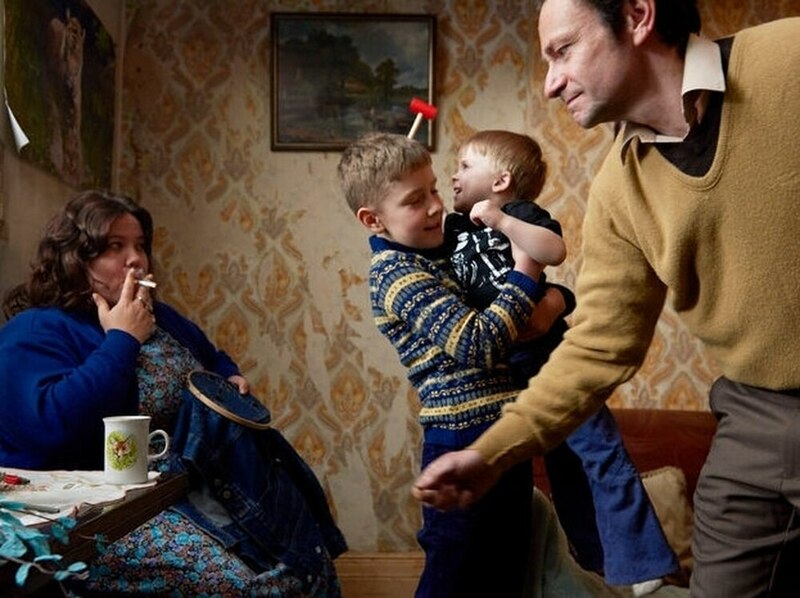 He is finally taken into care and a social worker breaks the news to Ray and Liz, both of whom are no longer alive. "I wanted to tell the story of how the family broke up over time," says the Sunderland University graduate. The first part of the film was released on its own and used to crowd-fund financing for the feature, which has been backed by BFI and Ffilm Cymru Wales with National Lottery funding. It was filmed at locations around Cradley Heath and Old Hill which included the same tower block where the family once lived. "We shot where the events took place as much as possible. We didn't have the same flat but we had a flat on the same floor," explains Richard, who is a Professor of Fine Art at the University of Gloucestershire. Putting together a cast proved more challenging as needed to find actors that looked as similar as possible to his relatives. "They needed to resemble them physically and also they way they moved. It took a long time, casting was the most difficult thing. We must have held more than 100 auditions and we street cast as well. When we got funding we got a casting agent, Shaheen Baig, who is the casting agent for Peaky Blinders and it was much better," he says. The cast they assembled includes Justin Salinger and Ella Smith as the younger Ray and Liz, Tony Way as Uncle Lol, plus a number of young newcomers playing earlier incarnations of Billingham and his brother Jason as children. 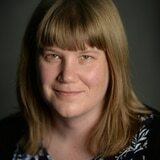 Deirdre Kelly, aka White Dee, who appeared in Benefits Street and Celebrity Big Brother, plays the older Liz and Patrick Romer is an older Ray. Since its premiere at Locarno Festival in August last year, the film has received rave reviews from critics but the biggest compliment has come from his brother Jason,41, who has a cameo role in the drama. "He said 'it's just how I remember it'," says father of three Richard, who is also well-known photographer and artist. "I must have seen it over 100 times while I was editing and doing sound design but the first time I saw it with an audience was the premiere at Locarno Festival and there were 2,500 people in the cinema. You sort of see it through different people's eyes - it was moving to watch," he adds. Despite his challenging childhood, Richard, who now lives in Swansea, still regularly visits the Black Country. "Any excuse I'm there. It's the place where I was born and I grew up. Most people have an affinity with the place they grew up," he says.